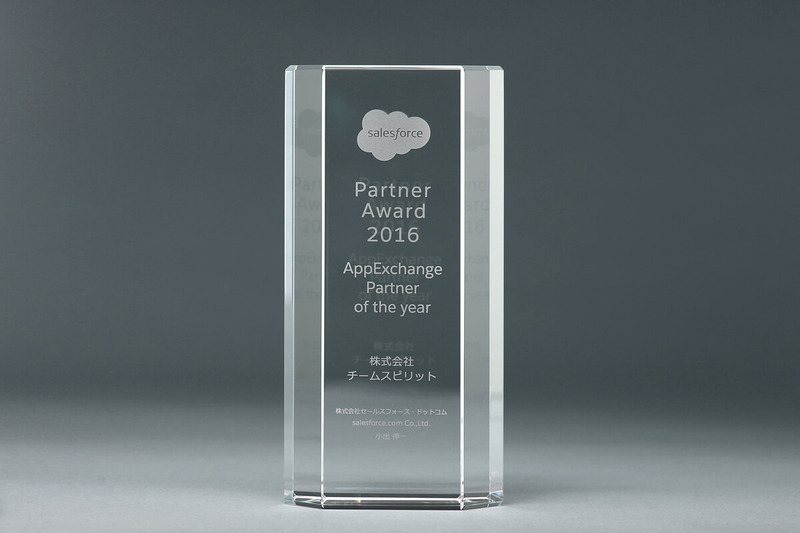 In March 2018, TeamSpirit Inc. was certified as an "AppExchange Premier Partner" in the "AppExchange Partner Program", as the one and only company in Japan., which is a new partner program of salesforce.com, Inc. In October 2017, TeamSpirit Inc. ranked eighth of the "2017 Deloitte Touche Tohmatsu LLC Technology Fast 50 in Japan" (out of 50 companies). This ranking is published by Deloitte Touche Tohmatsu LLC and based on the growth rate of sales over the last three fiscal years in the technology, media, and telecommunication business. 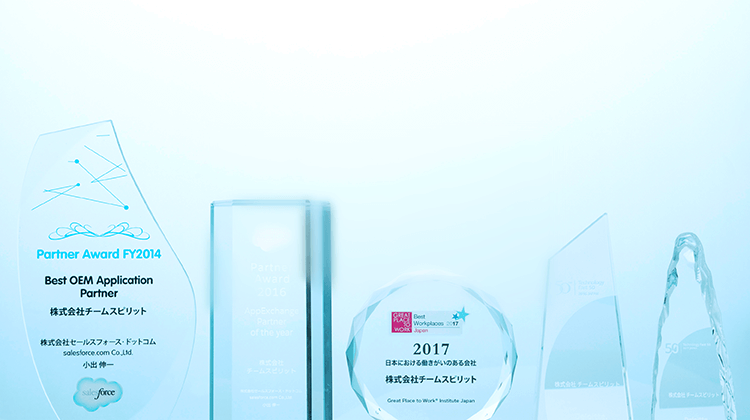 In February 2017, TeamSpirit Inc. was named as a best company in the "2017 Great Place to Work" survey (379 companies nominated) by Great Place to Work® Institute Japan. We were nominated for the first time this year in the category of companies with 25 to 99 employees and ranked 33rd. 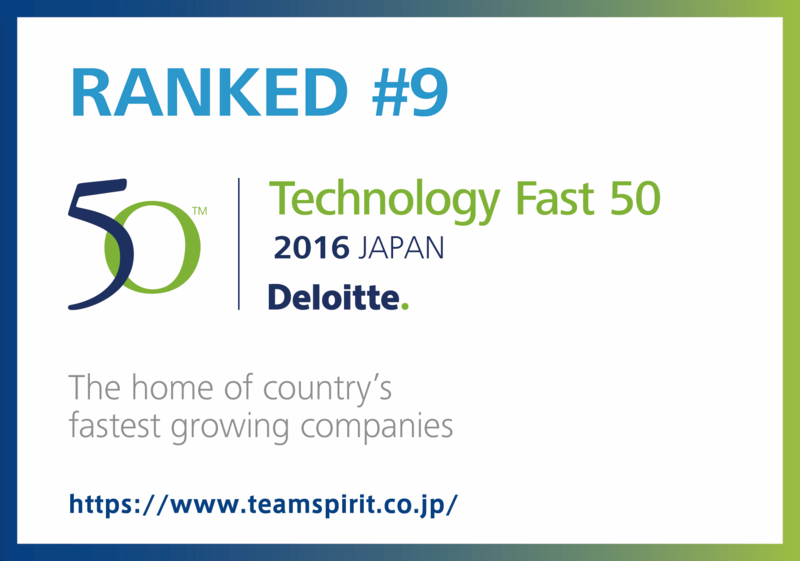 In October 2016, TeamSpirit Inc. ranked ninth of the 2016 Deloitte Touche Tohmatsu LLC Technology Fast 50 in Japan (out of 50 companies). This ranking is published by Deloitte Touche Tohmatsu LLC and based on the growth rate of sales over the last three fiscal years in the technology, media, and telecommunication business. In June 2016, TeamSpirit Inc. was named as an "AppExchange Partner of the Year" in the “Salesforce Partner Summit 2016”. In May 2016, TeamSpirit Inc. was certificated as a Salesforce Gold ISV Partner in the partner program of Salesforce.com, Inc. 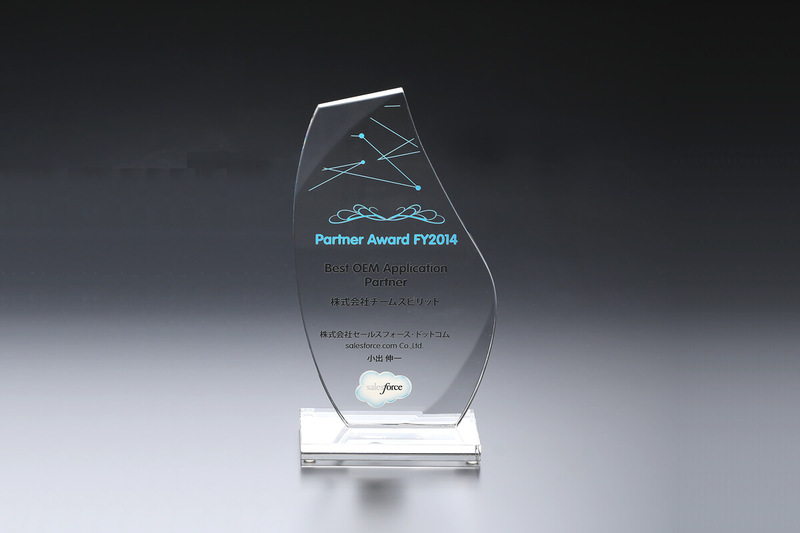 In June 2014, TeamSpirit Inc. was named as a Best OEM Application Partner in the Salesforce.com Partner Award 2014 of Salesforce.com, Inc.
© 2018 TeamSpirit Inc., All Rights Reserved.